On March 17, officers on patrol in the area of Eskbank Road, Dalkeith, attended the report of a Theft Shoplifting at Morrison's. On March 12, officers on patrol in the area of St Andrew Street, Dalkeith, recovered a small quantity of cannabis in the possession of a male. The male was charged and reported to the Procurator Fiscal. On March 13, officers on patrol in the area of Shadepark Crescent, Dalkeith, attended the report of a vehicle accident. The vehicle was found to be stolen and the driver found to be without a licence or insurance. A 16-year-old male was arrested and charged in connection with the incident and held in custody to appear at court on March 14. 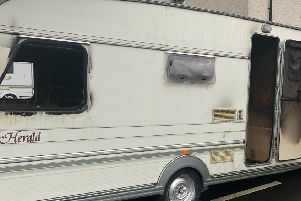 On March 15, a property in the area of Gibraltar Road, Dalkeith was searched under warrant, and a small quantity of cocaine and heroin was found within. A male was arrested, charged and reported to the Procurator Fiscal. On March 17, officers on patrol in the area of Eskbank Road, Dalkeith, attended the report of a Theft Shoplifting at Morrison’s. On arrival a 35-year-old man, and a 37-year-old woman were traced and found to be in possession of stolen property from a number of local businesses. The male and female were arrested, and charged in connection with the incident, and held in custody to appear at court on March 18. On March 13, officers on patrol in Newlandrig Village observed a vehicle driving at speed. The vehicle was stopped, and the 32-year-old male driver found to be driving without a valid MOT or Tax. The vehicle was seized, and the driver charged in connection with the incident. A report has been submitted to the Procurator Fiscal. On March 14, officers on patrol in the area of Pentland View Terrace, Roslin, observed a vehicle driving erratically. The vehicle was stopped, and the driver found to be driving on a revoked licence. 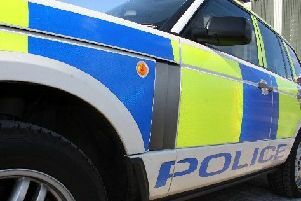 The vehicle was seized and a 79-year-old man was charged in connection with the incident and reported to the Procurator Fiscal. On March 16, officers on patrol in the Hillend area recovered a small quantity of cannabis in the possession of a 31-year-old man. He was charged in connection with the incident and a report was submitted to the Procurator Fiscal. On March 17, officers on patrol in the area of Windsor Road, Penicuik, observed a vehicle driving erratically. The vehicle was stopped, and the male driver found to be without insurance. The vehicle was seized, and the male was charged, and reported to the Procurator Fiscal. On March 11, funded MCAT officers searched a property in the area of Wallace Crescent, Loanhead under warrant. A quantity of controlled drugs were found within. Enquiries are ongoing. On March 11, officers searched a property in the area of Castlelaw Crescent, Bilston under warrant. A quantity of cannabis, and controlled drugs were found within, enquiries are ongoing in relation to this incident. On March 18, officers on patrol in the area of McNeill Avenue, Loanhead, observed a vehicle driving erratically. The vehicle was stopped, and the 45-year-old male driver found to be without insurance. The vehicle was seized, and the male charged, and reported to the Procurator Fiscal.